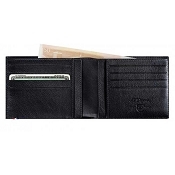 ST Dupont Document Holder handmade in Black and Brwon Dutone leather. 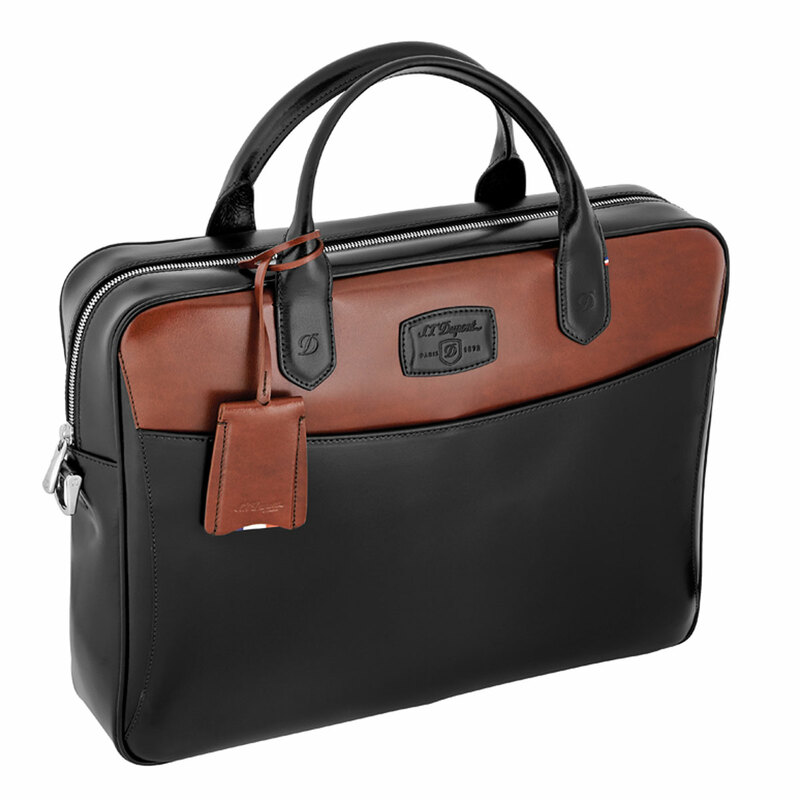 Designed for lovers of extraordinary objects, this new two-tone Line D single gusset luxury briefcase in black and brown calfskin seduces with its elegance and functional side. 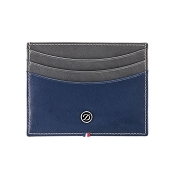 It is the perfect companion for modern business travelers thanks to its interior. 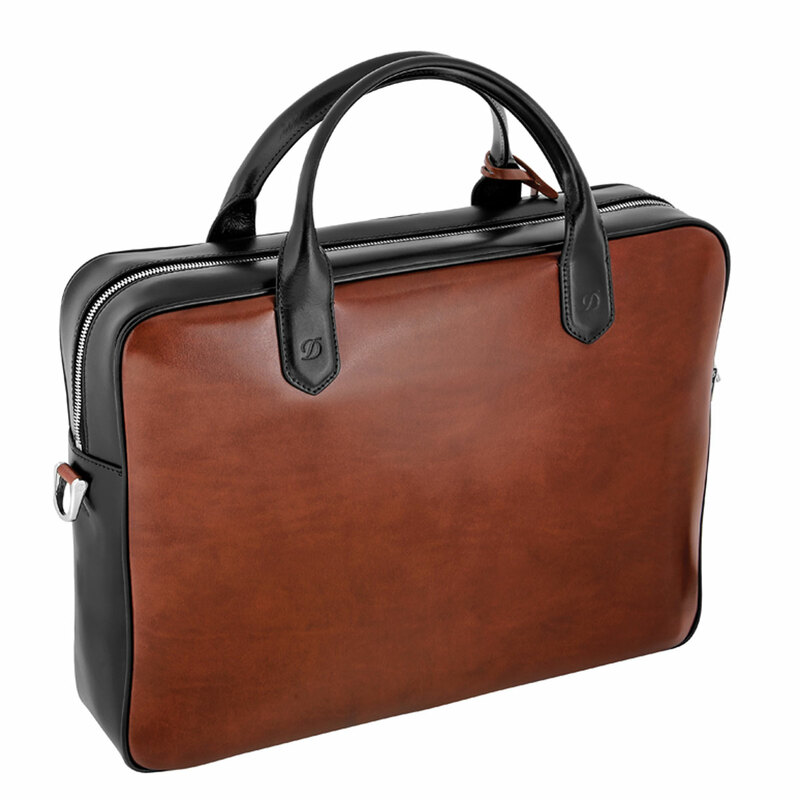 The Black and Brown smooth leather ST Dupont Line D Document Holder Bag for men is superbly crafted and handmade by the finest French artisans. 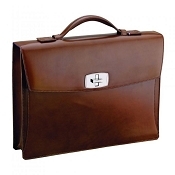 Designed for business and travel it offers elegance and practical details. 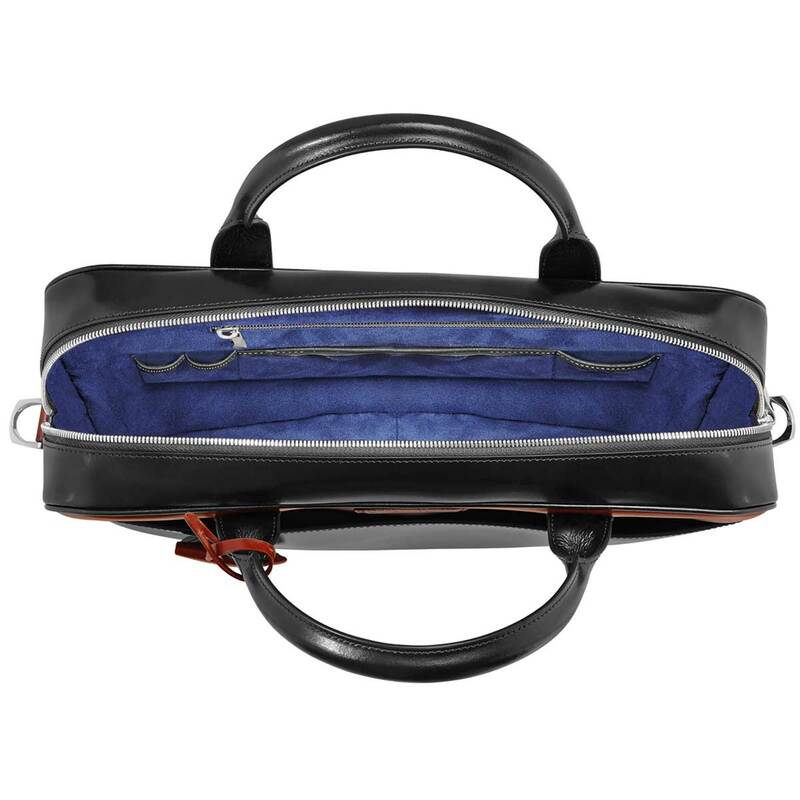 The top zip closure provides easy access to laptop, papers, and accessories. 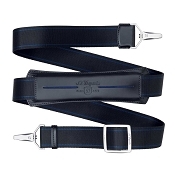 - Matching shoulder strap included. 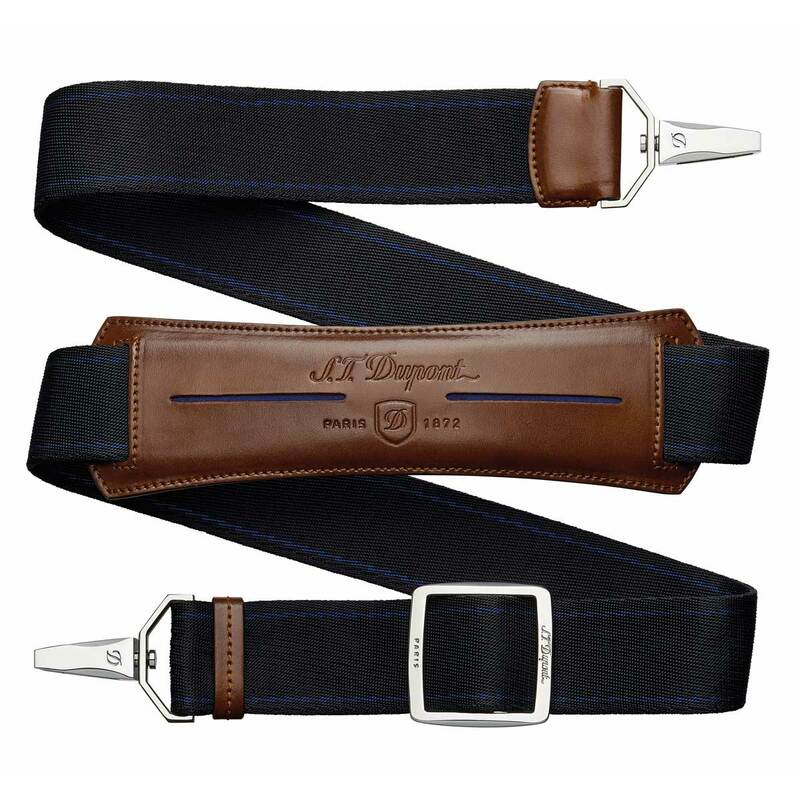 On the occasion of the House's 140th anniversary, S. T. Dupont went back to its origins as a "maker of trunks" and completely renewed its range of leather goods . True to the brand's DNA, Line D products have been designed without compromise and with particular attention to functionality, comfort and ergonomics. Line D takes its inspiration from the identity of old-style trunks. With respect for tradition, S. T. Dupont chose the best hides: Line D, Contraste and Diamant leather (the only leather in the world tanned using diamond powder — only available to order). The palladium fasteners reflect the power of the precious metal, and a tricolour band, sewn by hand, is a reminder of the House's French identity.